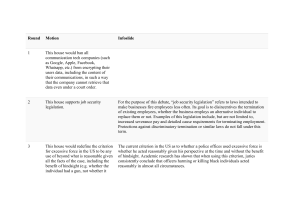 welfare principle, and (ii) the maximum welfare principle. reproduction’ (Pennings, 1999, p.1146, my italics). and indeterminacy of the concept. these criteria and which will not. there are so many variables at play. for child A born into different circumstances is impossible. 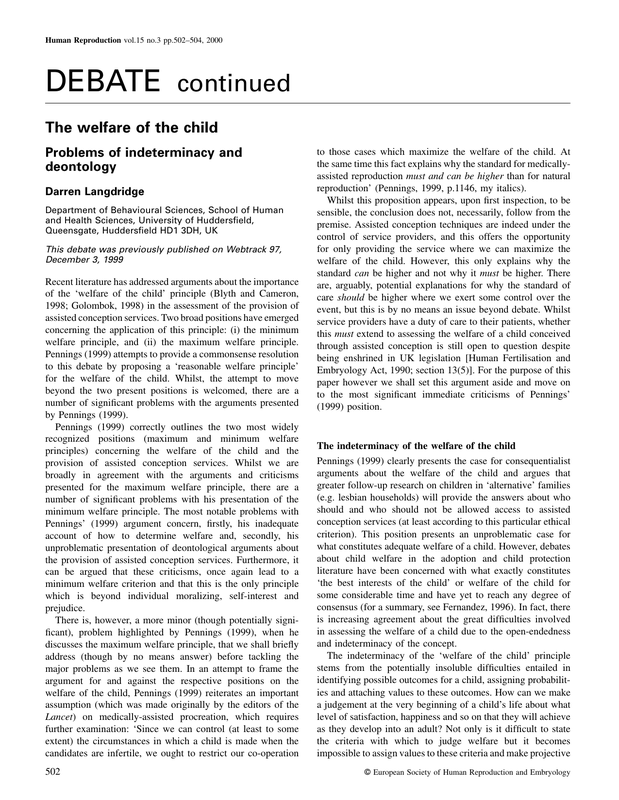 of consequentialist arguments about the welfare of a child. all studies of this kind rely on a significant assumption. should therefore not prevent life through refusal of treatment. the child (Human Fertilisation and Embryology Act, 1990). the child but, arguably, not without good reason. nature of the best state of affairs is, of course, open to debate. provision of assisted conception technology. of treatments deemed unacceptable to an individual. in the regulation of assisted conception. Hum. Reprod., 13, 2339–2342. welfare of the child. Hum. Reprod., 13, 2342–2347. Harris, J. (1985) The Value of Life: An Introduction to Medical Ethics. Human Fertilisation and Embryology Act (1990) HMSO, London, UK. Human Fertilisation and Embryology Authority (1998) Code of Practice. Parfit, D. (1984) Reasons and Persons. Clarendon Press, Oxford, UK. appropriate evaluation principle. Hum. Reprod., 14, 1146–1150. Raphael, D.D. (1981) Moral Philosophy. Oxford University Press, Oxford, UK.